P.S: In my own opinion, don’t we have too much opensim grids (XP) ? …….. I am not against them, I love them all! but too much can confuse new commers. Anyway I would like to give my best wishes and best luck to Alter Vita owners!, who knows ? may be one day I would like to try it!. This entry was posted in Start and tagged Another Opensim Grid, Another Virtual World, Other Life in Virtual Worlds on August 19, 2012 by Xpontaneus. New World Studio V. 2.0 is comming soon! “New World Studio is open source software, based on the OpenSimulator platform, making possible to set up a virtual world environment in minutes. Wether you are an educational or 3D design professional, or simply for fun, New World Studio is made for you. 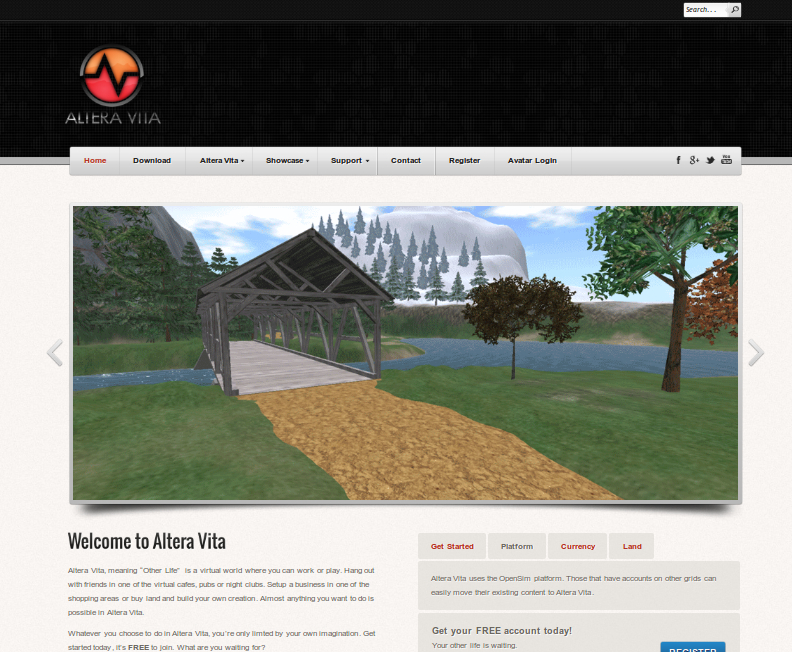 It is currently set as a standalone OpenSim install, but will be able to connect to OpenSim grids in the future. “First of all, I would like to thank everyone who helped test the very first uncomplete draft of New World Studio. It is reported as basically running correctly on Windows, Mac and Linux. Some bugs have been resolved and missing feature added. At the time I’m writing these lines, there are only 2 major features left to achieve : automatic updates (in progress), and email management (to be done). You will just need to register on this website in order to download, this will greatly help evaluate interrest and publish anonymous download statistics such as the number of unique users having downloaded, which you may be interrested in. I hope they will finish this new version in the next weeks, I really want to try this new version and to see if it really good as their last one. This entry was posted in Start and tagged Another Metaverse, Another Opensim Grid, Another Virtual World, Opensim Grid on May 11, 2012 by Xpontaneus.